Management 101 dictates that an employee who has become discouraged will not perform at the level he or she is capable of. Additionally, they often grip and start to bring other employees down to their level. It is important for a manager to know how to recognize a discouraged employee and figure out how to help them return to their former level of production. 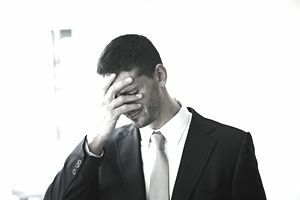 There are many reasons an employee becomes discouraged and the symptoms can be as varied as the causes. Here are a few of the signs to look out for to identify an unhappy worker in need of your help. After you have identified a discouraged employee, you have to find out why they are dissatisfied. Very often employees are afraid to tell their boss, so you'll need to be persistent or innovative in your approach. Sometimes even the employee can't pinpoint why they're discouraged, which makes communication all that much more critical. Be direct and ask them but pick a quiet time and keep it private. When they make a comment about their job try to really listen, which means "listening between the lines," not just to the words coming out of their mouth. Ask their colleagues. The other members of your team may be more aware of the situation than you think. If your efforts fail, ask the Human Resources (HR) Department to get involved. Someone the employee sees as a neutral third party may have better luck than you did. If all else fails, refer the employee to your Employee Assistance Plan (EAP) if your benefits plan includes one. A discouraged employee may be suffering from burnout, may be suffering from a lack of confidence, or maybe bringing their outside to work. If they're burned out, and you can't reduce their workload, try to vary it. Give them different tasks or give them more latitude in regards to how they can complete their tasks. If they lack confidence in performing their tasks, give them tasks with some degree of difficulty but make them assignments they can do. Letting them be successful will motivate them to take on more challenging work. Encourage them to talk with you. This will give them a safety valve for their frustrations and help boost their confidence. Don't be afraid to refer them to the EAP if they need professional help. Your job is to keep them a productive member of the team, not cure mental health problems. Rather than identifying a discouraged employee and figuring out the cause and cure for their condition, it's always preferable to prevent discouragement. Communicate openly and freely with all your employees. Let them know what is going on in the company and inform them why their job is essential. Whether in staff meetings or one-on-one explain to your staff how their efforts contribute to the overall success of the department and the company. Listen, and then listen some more. Listen to what employees say about each other, about their jobs, about the department, and the company in general. If an employee has a grip, let them know you'll help them out to the extent that you can. Get out of your office. The best way to keep employees motivated is to be among them. The time you spend out of your office and walking around the department will afford you the time to listen and observe and squelch a potential problem before it arises. You can do a lot to prevent discouraged employees, but you can't avoid it completely. Be alert for symptoms of the problem and take action to help the employee as quickly as you can. It will benefit both the employee and the rest of the team.